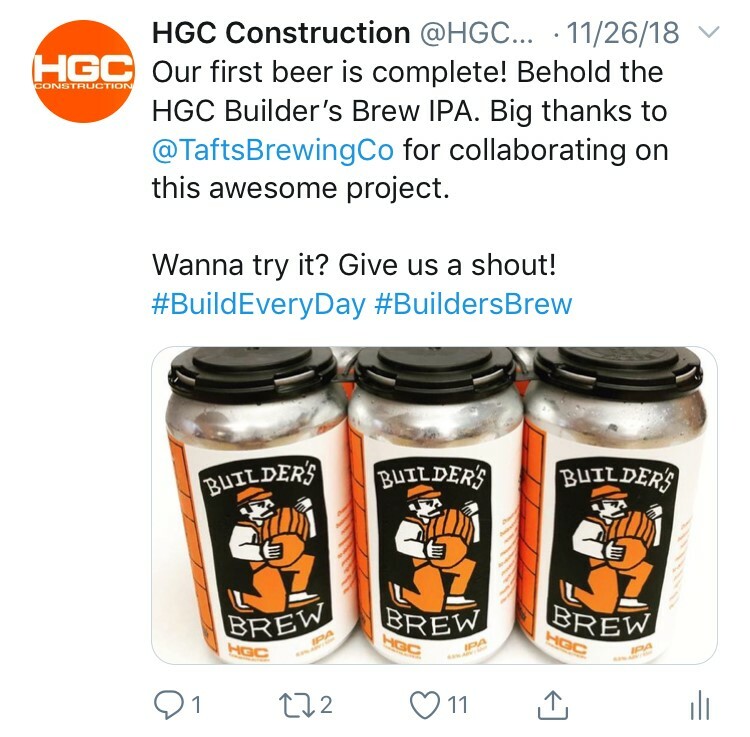 At HGC, we build every day. It’s what we do. We build spaces for work and play. We build homes for families of all sizes. We build gathering spaces for friends and neighbors. We build work spaces that foster ingenuity and collaboration. We build cultural centers to spark inspiration. We build places for people to connect. 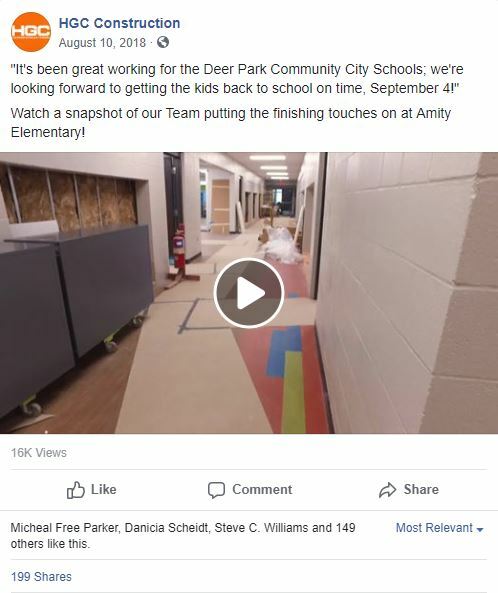 The Deer Park community’s enthusiasm for their neighborhood is unlike anything we’ve seen, and it made the Amity Elementary renovation video one of our most-shared posts. Ever. And the comments section was filled with people sharing their memories of the old school building, which we worked hard to preserve while blending it with a modern new addition that brings the school into the 21st century. 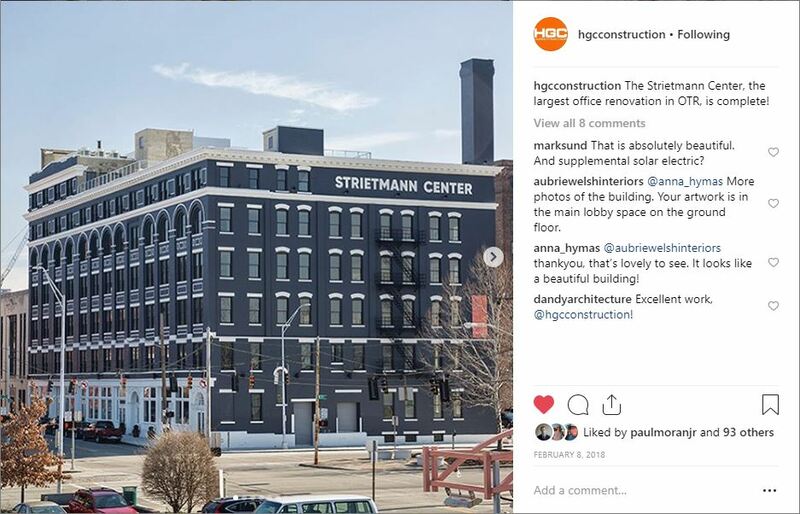 Instagram has a love for historic buildings, and there are few as stunning as the renovated Strietmann Center. The expansive brick facade with a fresh coat of slate blue, the way the bright white paint draws the eye to the many incredible window arches and other decorative accents, the gorgeous retail storefronts with restored glass doors and transom windows—it’s no surprise that this image grabbed the most likes and comments on this visual platform. HGC believes deeply in giving back to our community, so we’re glad you were as excited as we were about CANstruction. 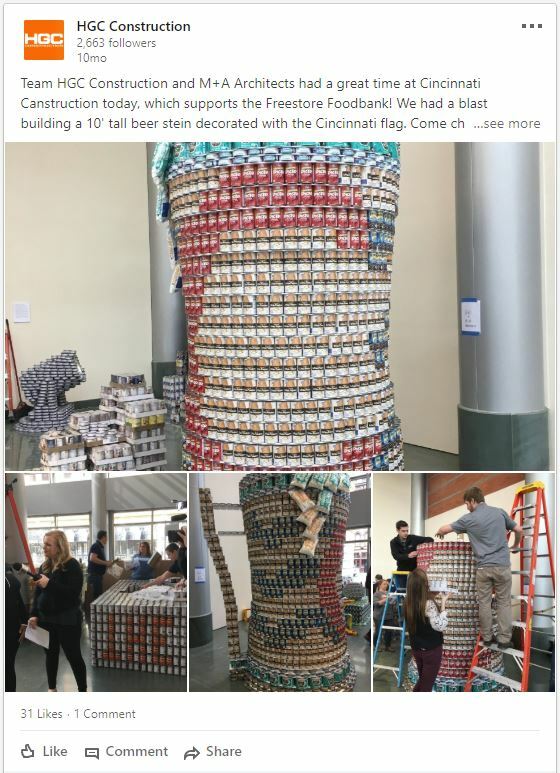 The annual competition challenges construction and architecture firms to create a sculpture out of canned goods—and then donates the canned goods to the Freestore Foodbank, one of Ohio’s largest food banks.